Professor Komvopoulos has been in the faculty of the Department of Mechanical Engineering at the University of California, Berkeley (UCB) since 1989. Before joining UCB, he was in the faculty of the Department of Mechanical and Industrial Engineering at the University of Illinois at Urbana-Champaign (1986-1989). Professor Komvopoulos is internationally known for pioneering research in surface nanosciences and nanoengineering, with important implications in several emerging technologies including communications, microelectronics, information storage, and biotechnology. He is the founder and director of the Surface Mechanics and Tribology Laboratory (1989), which in 2008 was split into two laboratories, the Surface Sciences and Engineering Laboratory (SSEL) and the Computational Surface Mechanics Laboratory (CSML), to better accommodate his research programs in different interdisciplinary fields. Professor Komvopoulos holds the positions of Professor of Mechanical Engineering at UCB, Principal Investigator at the Center for Information Technology in the Interest of Society (CITRIS), and Faculty Scientist, Materials Sciences Division, Lawrence Berkeley National Laboratory (LBNL). The research of Professor Komvopoulos is at the interfaces of mechanical and electrical engineering, materials sciences, surface physical chemistry, bioengineering, and biology. His work is characterized by a multidisciplinary nature and the combination of analytical and experimental techniques used to analyze complex surface and interface phenomena. His research is based on the integration of fundamentals from mechanics, materials, surface chemistry, and biology, and spans a broad range of scales, from the mesoscopic down to the atomic and molecular levels. Early research accomplishments of Professor Komvopoulos include contact deformation at submicron scales, new friction theories of surfaces interacting in the presence of physicochemically adsorbed monolayers, surface plasticity and fracture of contacting bodies, acoustic emission in surface sliding and machining, synthesis and characterization of ultrathin diamondlike and amorphous carbon films, adhesion forces in miniaturized electromechanical systems, and rheological behavior of boundary films. In the past two decades, Professor Komvopoulos broadened his research activities, branching into the exploration of various surface microprobe techniques for atomic and molecular level surface analysis, synthesis of self-assembled organic monolayers for reducing adhesion between silicon microdevices, invention of plasma-assisted surface treatments for biopolymers (used in total joint replacements, catheters for minimally invasive treatment of diseased arteries, and cell platforms), deposition of ultrathin (a few atomic layers) amorphous carbon films by sputtering and filtered cathodic vacuum arc for ultrahigh-density magnetic recording and heat-assisted magnetic recording, phase transformations and nanomechanical properties of shape-memory alloys (both in thin-film and bulk form) for retina disks and artery stents, a surface-specific spectroscopy technique (infrared-visible sum frequency generation (SFG) 2 vibrational spectroscopy) for in-situ studies of entropically driven molecular rearrangement at various biopolymer surfaces due to in-plane and out-of-plane stretching and aging effects. His most recent work includes plasma-assisted polymer surface functionalization for controlling adhesion and growth of cells, protein secretion due to mechanotransduction in articular cartilage, cell mechanics, patterned media for single-cell growth, and cell infiltration into fibrous scaffolds synthesized by electrospinning, new electrode materials for Lithium-ion batteries, flexible and stretchable bioelectronics, skin mechanics, and transdermal drug delivery by microneedle arrays, mechanics of biological surfaces, and synthesis of scaffolds with special cues for enhanced biofunctionality. Professor Komvopoulos research is documented in 245 papers published in peer-reviewed archival journals, 70 papers in refereed conference proceedings, 19 papers in symposium proceedings, 65 technical reports, and 10 US patents. He has also authored an undergraduatelevel textbook (Mechanical Testing of Engineering Materials) and co-authored two monographs (Long Term Durability of Structural Materials: Durability 2000 and 1999 Interface Tribology Towards 100 Gbit/in2 ). He has given 217 scholarly presentations at international conferences, academic institutions, national laboratories, and various industries, supervised the research and dissertations of 55 graduate students (31 PhD and 24 MS) and 15 post-doctoral students, visiting faculty, and industry fellows, and consulted for a wide range of industries and law firms on various litigation matters. 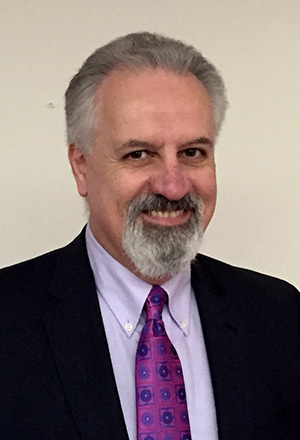 Professor Komvopoulos is Fellow of ASME, Fellow of STLE, and recipient of several awards, including NSF Presidential Young Investigator Award (1989-1996), IBM Faculty Development Award (1990-1992), Berkeley Engineering Fund Award (1989-1990), ASME B. L. Newkirk Award (1988), and NSF Engineering Initiation Award (1987). At UCB, Professor Komvopoulos teaches undergraduate and graduate courses on Mechanical Behavior of Materials, Plasticity, Fracture, Fatigue, and Tribology, actively participates in the Nanosciences and Nanoengineering Graduate Program, and devotes significant time to administration duties at the Department, College, and University system-wide levels. His most recent system-wide committee service includes UC Faculty Welfare, Assembly Representative, Divisional Council, Educational Technology, Courses of Instruction, Graduate Study, and Committee on Academic Planning and Resource Allocation. Surface nanoengineering methods, nano-/micro-mechanics and tribology, contact and fracture mechanics, mechanical behavior of bulk materials, deposition, microanalysis, and characterization of single and multi-layer thin films (RF sputtering, ion beam, and filtered cathodic vacuum arc), shape-memory alloys, reliability of nano-/micro-electromechanical systems (NEMS/MEMS), surface chemistry and nanoscale viscoelastic properties of (bio)polymers, surface treatments for total joint arthroplasty and catheters, surface force microscopy, particle contamination in semiconductor materials, damage of alternating phase-shift optical masks, laser-assisted surface nanomodification and nanostructuring, cell mechanics, plasma-assisted surface functionalization for controlling cell adhesion and proliferation, finite element analysis of thermomechanical surface contact interactions. To learn more about Professor Komvopoulos’ research, please click here. To view a list of Professor Komvopoulos’ publications, please click here.